So, the title of this post may make you scratch your head a bit. Why is Chrome Unboxed reviewing a desk? Stick with me for just a few minutes and you’ll see. I’ve been on the hunt for a great sit/stand desk for some time, but I’ve been a bit unwilling to spend the cash to get one. You may have seen my older desk in videos that was a sit/stand desk, but with a manual hand crank. It was relatively easy to convert, but just enough of a pain to make it something I wouldn’t do very often. Additionally, the 2-tier setup it had left me feeling cramped all the time. Not long ago, a coworker pointed out a company that makes sit/stand desks and does so in a much more affordable way than others I’d looked at. I went to the site, looked around, and was greatly impressed. Quality products at reasonable prices. I obviously got one and thought, as an accessory, this is one of the most used pieces of equipment with my Chrome OS devices. It isn’t too techy, aside from the awesome digital controls that allow free-adjusting heights and 4 presets. The motors are pretty fast and quiet as well. Overall, the whole thing just works. It is stunningly beautiful, and with the addition of a couple cable-management trays, gives me the cleanest desktop I’ve ever had. The entire thing wreaks of quality, too. Sturdy and well built, the desk is assembled without much fuss and feels substantial and solid. With it, I routinely switch between sitting and standing without much thought. The desk has blended into my work flow and makes me want to return to it every day with my Chromebook. The best part is the price. For the quality of the product, the price is a bit silly. Granted, that’s a starting price, but that gets you a desk just like this one in the review with a single-motor setup. I can vouch for it as well since our entire office is now outfitted with these desks. Everyone loved it so much, we ordered 5 more. There are options that can drive the price up to $699, but even that price is reasonable. In a market where desks that have these features can go for upwards of $2500, I can’t recommend this desk enough. I’m not being paid by anyone to say this: I love this desk. I’ve wanted something like it for a few years and now I have it without killing my bank account. If you are looking for a sit/stand desk, look no further. 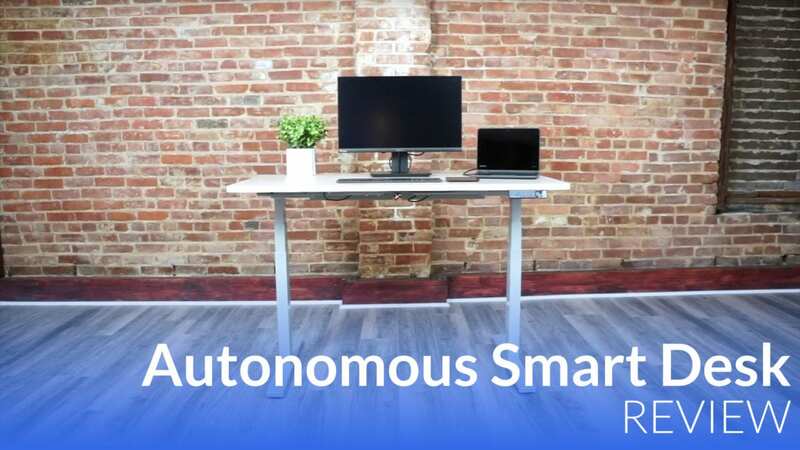 Go to autonomous.ai, pick a desk, and enjoy it. These things are amazing!